With the days getting shorter and colder, the sky is filled with the flocks of geese headed south for the winter. 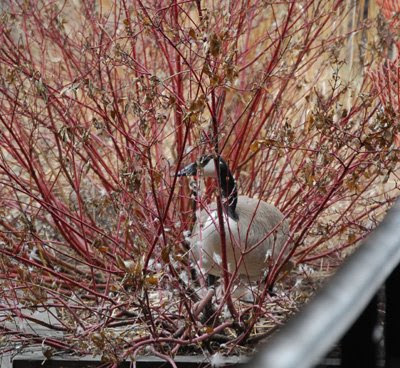 This mother goose spent the spring tending her eggs in this planter box on the riverwalk. If she and her flock are not spending the winter, the chicks are likely on their first migration.